Like so many Beatles fans, I was born after the band broke up. It’s a mixed blessing. I’ve had their music pretty much baked into life’s soundtrack. But I didn’t have the excitement and anticipation of a new record or bit of news. And I lacked context. And to that end, for me, Let it Be (the movie and the album) has always been as much of the band’s catalog — and identity — as anything else they did, whether it was Please Please Me, Rubber Soul, Sgt. Pepper’s or Abbey Road — or Something New, Beatles ’65 or Yesterday… and Today for that matter, having become a fan before the CDs standardized the US and UK releases. I love Let it Be — more than just the record (which while I do love, it’s not among my favorites of theirs), but the whole experience. The movie, the sessions, the bootlegs from those sessions. I love what Let it Be … is. The awkwardness, the edginess, the overall chaotic nature of what the sessions were and the steps that led up to the album and movie’s eventual release brings a wonderful realism to everything, real fresh air. I know it’s been described as watching your parents get divorced (I could have sworn it was Ringo saying that in the Anthology, but now I can’t find the quote). John Lennon called the recording experience “dreadful.” George Harrison said it was “unhappy and unhealthy” (both of those quotes WERE from Anthology). But I don’t care. I wasn’t dating Yoko and going through a divorce. I didn’t just spend the fall expanding my horizons writing with Bob Dylan and was returning to the “winter of discontent.” I wasn’t desperately trying to figure out how to save a band that the other three members either had or would soon quit. I wasn’t feeling like a waste behind the kit. I didn’t — still don’t! — have the baggage they did sitting there as the band fell apart under the various personal pressures they were under. And thus, I question the usual description of the sessions as a disaster, as insiders and outsiders alike tend to say. And here’s where the lack of context helps. Let it Be, while not 11 perfect songs by any remote measure — and this band has certainly strung together 11 perfect songs in a row before — still gave us songs that have stood the test of time in the title track, Get Back and The Long and Winding Road. And that’s just what you’ll hear at the bank, in commercials, etc. Turn on a classic rock radio station, should such things still exist, and you’ll hear the rest of the songs. And the rest of the output from the sessions? Only more than half of Abbey Road, what I’d argue is the best rock album, period. Only a number of songs that would later appear on the remaining Beatles singles, plus solo songs that would end up on All Things Must Pass, Imagine, McCartney and RAM (shout out to RAM). If hundreds of mediocre covers and other useless snippets are the price to pay for that, I’m in. And because they were the Beatles, the above disaster took one day short of a month — Jan. 2-31, 1969. So that brings me to why we’re all here — or at least why I’m here writing to myself. I think there’s beauty in the Beatles with their warts, without pants and the like. The movie is a joy in its depression, for me. Out of such distress they produced such eternal music. I’ve always tried to listen here and there to outtakes from the sessions for the pure fun of it — the Beatles covering Canned Heat, mocking their own back catalog, and hatching the most barebones takes of songs that I pine to listen to every day. But the sound on some of the bootlegs was so bad as to make it truly an experience that couldn’t be enjoyed. Plus, it would be prohibitive as far buying everything. But we live in special times, no? 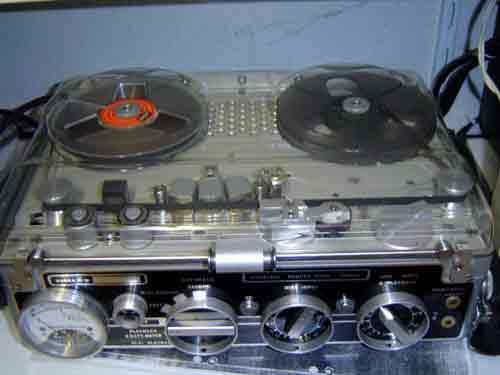 One download (lasting many, many, many days) and you can have what’s known as the Nagra Tapes (aka the A/B Road boot). It’s more than 97 hours of the sessions, sourced, quite illicitly I believe, from the camera’s audio recorders on site at Twickenham and Savile Row during the recording of the film. And, quite simply, when I finally downloaded the 5.3 GB monstrosity, I thought it would be fun to write about what I’m hearing after I had poked at this track and that and finding among some of the banality many revelatory moments. I’m a fan of the niche, and this seems as niche a project as it gets. But I will listen to those 28 versions from Jan. 6, along with the other 84 takes of the song, the 141 takes of “I’ve Got a Feeling,” 68 takes of “All Things Must Pass,” 33 takes of “She Came in Through the Bathroom Window,” 30 of “One After 909,” four tries at “Gimme Some Truth,” two at “Her Majesty” and their lone stab at Hava Nagila (I kid you not). And everything in between. Multiple books have been written about these sessions, and none by myself. But I’m a fan who will find pleasure in the discovery and the song-building process of numbers that have been part of my life since before I knew it. While I may chime in with the occasional non-Get Back/Let it Be sessions post, I’ll try to limit such chatter to the Twitter feed. But it’ll always be, at worst, barely off-topic, and always certainly Beatle-related. Thanks for checking this out and being along for the ride. – I see your last entry is from August. Will you keep going? I hope so! – The blog needs a table of contents very badly. You really have to poke around in order to find all the entries which is a lot of work and causes one to lose the chronological flow. pd: Thank you VERY much for the recent comments across the site and especially so for the kind words here. Truly appreciate it. — This is definitely still an active blog, despite things being a little slow lately. Two kids (2 and 4) and a full-time job that has nothing to do with this slowed things down a little more than I hoped this year (“life is what happens when you’re busy making other plans,” etc.). But a new post on today’s Glyn Johns Q&A I’m attending should come tonight/tomorrow, and posts finishing up Jan. 7 Maxwell’s Silver Hammer and going forward to Across the Universe will be done before the end of the month. Thanks for wanting to see more! –Excellent suggestion on the TOC. I tend to lose sight of the fact people come to the blog for the first time all the time, and it’s not as simple to just click on the day’s tag to get around in true chronological fashion. Thanks again for the visits and comments, and please do stick around!